Relationship changes in the lives of individuals as well as of nations. Since attaining independence from the British rule Indo-Myanmar relationship have seen many ups and downs. From 1948-1962 relation was friendly and cordial during the days of Prime Minister Nehru and Prime Minister U Nu. But from 1962-1988 relations virtually froze with the military rule under Ne win adopting an isolationist policy. Domestic policies including the expulsion of ethnic Indians soured the relations. Then from 1988 as a result of the sympathy of the Indian government to the pro democracy movement which started in 1988, the relations were completely strained. In 1993, India reversed its stance with a more realistic and pragmatic policy and started engaging the military regime in open dialogue. Since then the relations have been growing steadily save for a minor hiccup in 1995 when Aung San Suu Kyi was awarded the Nehru Peace Price for International Understanding. The visit of Maung Aye, Vice Chairman SPDC, the second most powerful military junta leader in November 2000, changed the entire scenario. There has been all round progress in political, economic and military relations as well as cooperation in technology, HRD, infrastructure, education, space, health and other fields. The first Border Trade Agreement was signed in Delhi in January 1994 and was implemented in April 1995 with the opening of a cross border point between Moreh (India) and Tamu, (Myanmar). The border trade which had a spurt in the beginning with export of Indian goods worth Rupees 31 crore and imports from Myanmar worth Rs 15 crore in 1996-97 had declined to a level of Rupees 5 crore in export and import by 2004-05 according to official statistics. As of today the trade value is a dismal one crore only. Trans-border trade has failed to provide any benefit to local people and there are procedural hiccups for obtaining licenses as well apart from the failure of law and order and absence of proper infra-structures. 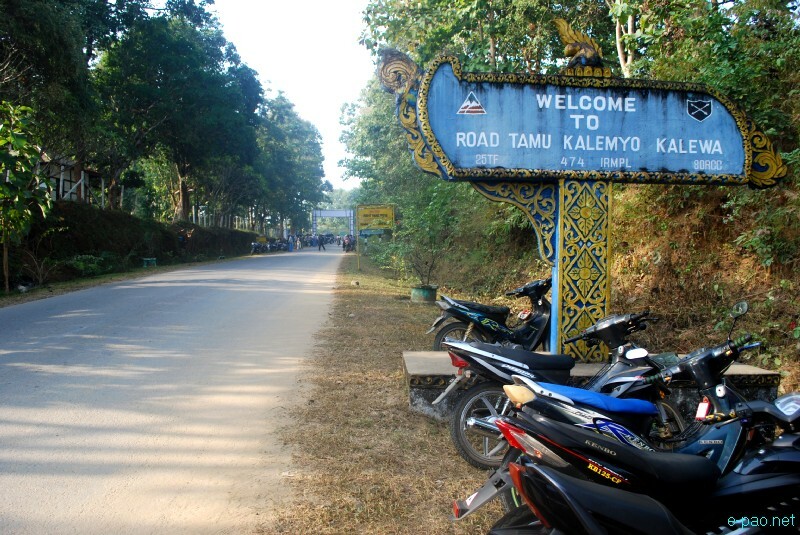 The 160 Km India-Myanmar Friendship road on Burmese territory from Tamu to Kalemyo to Kalewa was built by the Border Roads Organisation and completed in 2001. India is involved in the India-Myanmar-Thailand Trilateral Highway Project. Further, the high point in the bilateral relations was the visit of Senior General Than Shwe, Chairman, State Peace and Development Council in October 2004. To reciprocate, the Indian President Dr APJ Abdul Kalam visited Myanmar in March 2006 which was a landmark as this was the first head of State visit to Myanmar after 1987 when Rajiv Gandhi visited Myanmar. A number of agreements and Memorandums of Understanding were signed during this visit. ASEAN factor : Myanmar became a member of ASEAN in 1997. As the only ASEAN country which shares a land and maritime boundary with India, Myanmar is the gateway to ASEAN. The Ministry Of External Affairs has indicated that a few proposals for cooperation are under discussion with Myanmar. China Factor : China and Myanmar have been close allies since the time PRC came into being. For Myanmar, China's substantial economic, military and political support is vital in view of the sanctions imposed by the West and the mounting pressure by the regional and international forum. The Chinese have built an all weather road from Kunming in Southern China to Mandalay in Central Myanmar and volume of trade has increased hundredfold. It has been proved beyond doubt that economic sanctions have not deterred the military regime in pursuing its agenda. Hence a policy of diplomatic persuasion and economic aid linked with progress in democratic reforms may be a viable solution for India. While India's concerns are understandable, Myanmar must have also realised that it is being stifled by China and must look for an alternative in India, particularly in view of India's rising economic potential and mutual strategic and security interests. Despite India's improving relations with China, the China factor does have an impact on India's relations with Myanmar. However it is also in Myanmar's interests to have an alternative source in India for its economic better-ment. Thus, the strategic and security considerations outweigh India's concern for democracy in Myanmar. The Indo-Burma treaty of 1952 on Border Affairs was designed to ensure free movement of the local ethnic tribals for meeting their daily socio-economic needs. There was a tacit understanding that the tribal population on both sides of the international border who belong to the same ethnic group will be allowed free passage within 40 Km on both side for the purpose of carrying on local trade and social visits. * Visits restricted to 40 Km on both sides of the border. This Treaty Has Been Modified And Renewed From Time To Time To Meet The Changing Need. After the military junta took over power in Myanmar, and the economic sanction imposed by the Western power in view of the atrocities committed on the democratic movement in that country, India also adopted a close-door policy to Myanmar. However, in view of the recent Chinese economic expansion in Southeast Asia and Myanmar, India recently adopted an open-door policy. However, experience in matter of trade implementation reveals too many stumbling blocks and even with the best intention to overcome them Indian traders find little attraction in continuing legal trade relation with Myanmar. * Poor state of infrastructure such as road connectivity, telecommunication facilities, banking and other financial network. * The overvalued Myanmer currency in the official market is a disincentive for the Indian trader. * Absence of currency exchange counters is a setback. * Absence of law and order in the state of Manipur as a whole. * Too frequent bandhs and road blockade by different organizations. * Presence of too many militant groups and collection of high illegal taxes. * Absence of Peace, security and safety in business premises. * This simply means exchange of goods. Example - Indian trader exporting 5 tons of potato in exchange for importing 3 tons of beetle nut. Goods exchange in value equivalence. * This system means that the export from one country needs to be balanced by the import of another country in terms of value and volume as per negotiation of the trading parties. * There is a stipulation that export from India must precede import from Myanmar. * Balancing export with import is required to be completed within 6 months. This restricted system not only hinder free flow of trade, but puts Indian traders at a disadvantage. * The narrow range of items identified for official trade is also another important factor restricting the natural trade flow. Only few items are allowed for trade. * While each country can have their own list of negative list items for export and import the scope of border trade needs to be extended to other items in order to boost up trade. Conclusion : In spite of the much talk about Look East policy adopted by India there appears to be too many patches of dark clouds which cast shadows of doubt and fear on Indian business men and unless a healthy investment climate is created legal trade between the two neighbours will still remain a distant dream whereas smugglers will continue to thrive and fish in this trouble water of INDO-MYANMAR BORDER for years to come.